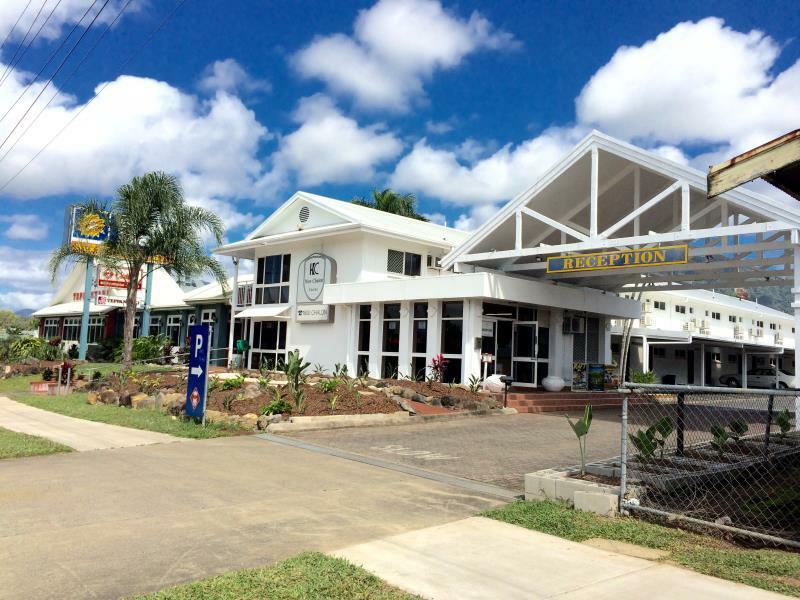 عندما تزور كيرنز, ستشعر أنك في بيتك في Cairns New Chalon Motel الذي يقدم لك إقامة متميزة و خدمات عظيمة. يسهل الوصول إلى هذا الفندق ذو 3.5 نجوم من المطار، فهو يبعد عنه مسافة 12KM فقط. إن سهولة الوصول من الفندق إلى المعالم السياحية الشهيرة الكثيرة في المدينة كمثل Cairns Golf Club, Mount Sheridan Medical Practice, Cazaly's Stadium هو استثنائي بحد ذاته. 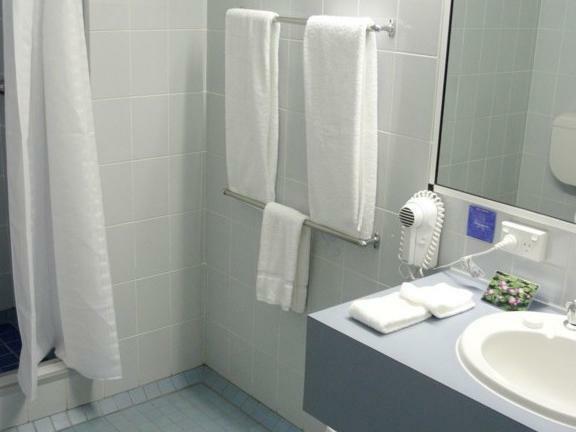 كما يقدم Cairns New Chalon Motel الكثير من الخدمات لإغناء رحلتك في كيرنز. يقدم الفندق فرصة للاستمتاع بشريحة واسعة من الخدمات بما فيها: واي فاي مجاني في جميع الغرف, خدمة التنظيف يوميًا, خدمة سيارات الأجرة, خدمة حجز التذاكر, تخزين الأمتعة . في الفندق غرف نوم يتجاوز عددها 38، كلها مجهزة بعناية وجمال وبعضها مزود بـ تلفزيون بشاشة مسطحة, اتصال لاسلكي بشبكة الإنترنت (مجاني), غرف لغير المدخنين, مكيف هواء, مكتب. يقدم الفندق خدمات رائعة كمثل مسار جولف - ضمن 3 كم, حمام سباحة خارجي, مسبح (للأطفال), حديقة لمساعدتك على الاسترخاء بعد نهار طويل من النشاط والتجوال في المدينة. 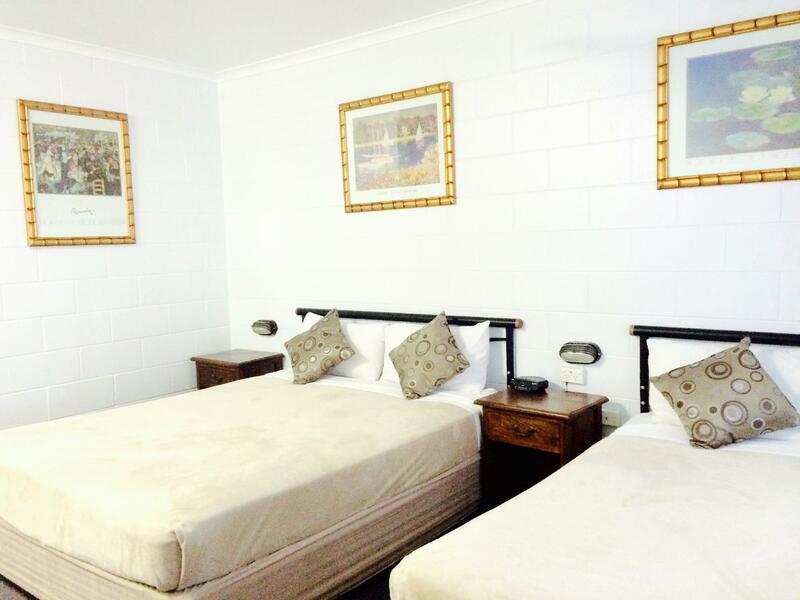 يشكل Cairns New Chalon Motel بخدماته الراقية وموقعه الممتاز، قاعدة مثالية للاستمتاع بإقامتك في كيرنز. Value for money, nice and clean. Owner of the motel was quite rude though. very neat and tidy. nicely decorated room in shades of pink white and grey. couldn't use the spare power point to charge my phone overnight on the bedside cabinet as the lamp plug was large and my charger wouldn't fit in next to it. smoking area outside at small table and chairs is a bit narrow but that is the design. polite and friendly management. a bit ticked off as I booked the room at what I thought was a fantastic bargain through Agoda which ended up being in us$ not au $. so therefore cost me more than I expected. 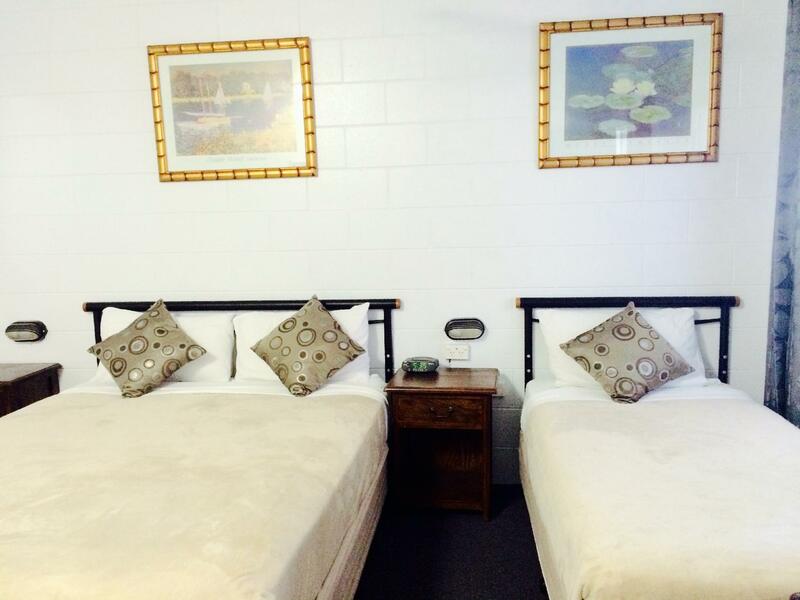 great for us as we were going to Cazalys which is quite handy to the motel. Middle if road place. Not especially good nor friendly. Lady in office quite impersonal, like she didn't care....just another southern tourist! Look for something more friendly if you can. Was nice they need to have the restaurant attached to be opened but was pleasant place to stay. The pool area need additional shade structures and maybe a Barbeque area. Very good will come back. We did not have a meal as the restaurant was not open. It was cheap, the staff were helpful & it had a good location. The hotel doesn't look as nice as it does in the photos. It basically needs a facelift and some serious TLC. It was clean though and we had no problems finding parking. 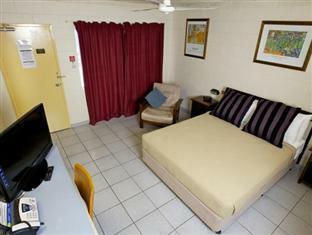 Location - The hotel was located about 10 minutes drive from Cairns CBD. 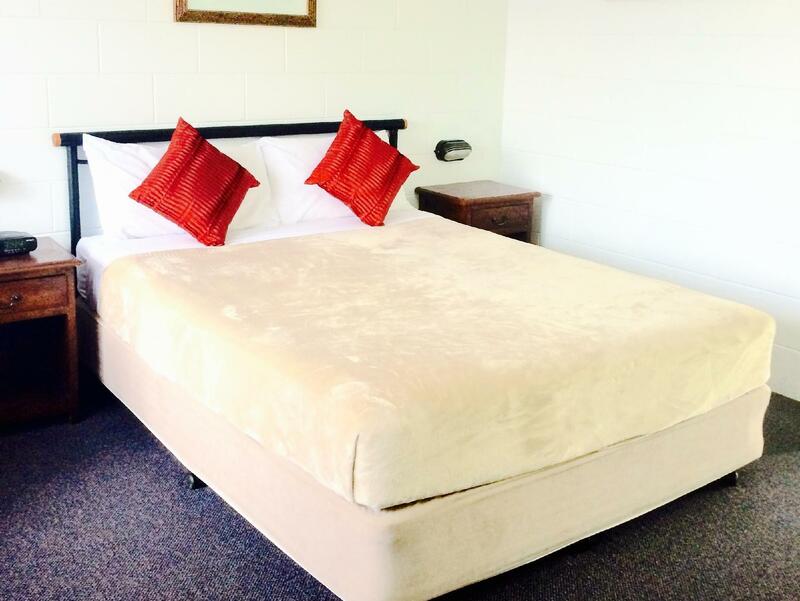 Cost -Good price for room offered. 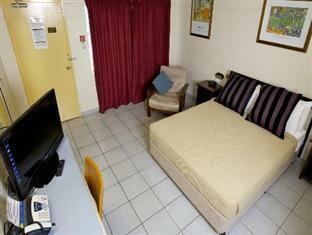 Room - airconditioned, comfortable beds, quiet, cooking utensils and sink. We would not stay again. We were not happy with the condition of the unit. It was very tired and rundown. There was a big crack in the bath, the fire alarm was hanging out of the ceiling. Iff we hadn't paid up front we would have left. Terrible, ceiling fan had no control for it, bathroom mouldy, ceiling absolutely disgusting, door jam rusted away.